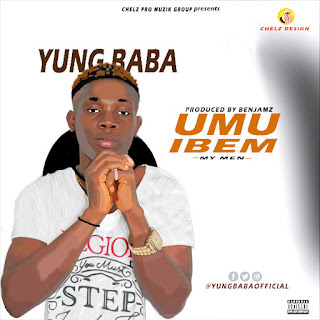 Award Winning 9ja rapper Yung baba, The Seckess Music boss – teams up with one of the Nigerian beat-master/Benjamz, on this new banger titled – UMUIBEM. The song is produced by hit-maker BENJAMZ, and Mix and mastered by EMPEROR JUDE 9ja’s finest and of course one of Africa’s most prolific rappers Yung baba brings his A-game on this jam as the man of the moment, benjamz offers his best on this one. Yung baba is hatch with his 9ja hook and did his rap thing on the high tempo beat. Enjoy!